Iridology is the study of the iris, the colored part of your eye. Iridology is a non-invasive technique which allows a practitioner to detect current or future imbalances in a person’s body, simply by looking at their eye. 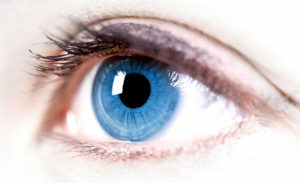 Each part of the iris corresponds to a part in your body. Specific markings in the iris allow the practitioner to identify the potential hosts for dis-ease. Iridology also allows the practitioner to identify certain genetic predispositions (family inherited weaknesses) toward certain dis-eases. Once the condition has been revealed changes to diet, exercise, stress management, and herbal supplements can be introduced by the practitioner to the client. This allows people to customize their health plan & move toward building a life of health before sickness and disease. Iridology does not detect cancer, pregnancy, or gall stones. Iridology cannot diagnose, treat, or cure any disease. If you have any health concerns you should always contact your primary care physician to address those concerns immediately. Serving the Treasure Coast of Florida, and offering limited online services.